Last updated 10:34 pm on Fri May 2 2003. 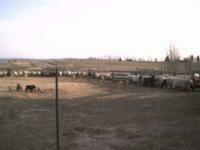 Click on the image in the gallery to see a larger photo. 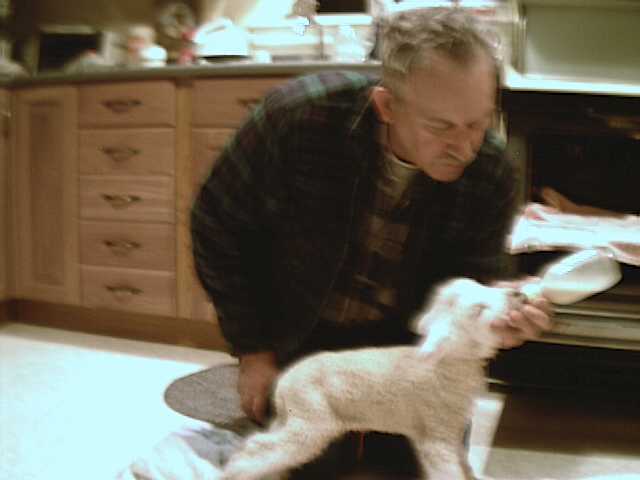 After finding that Betty had two lambs in the middle of the cold night, Al used the oven to revive Elaine, the first born. 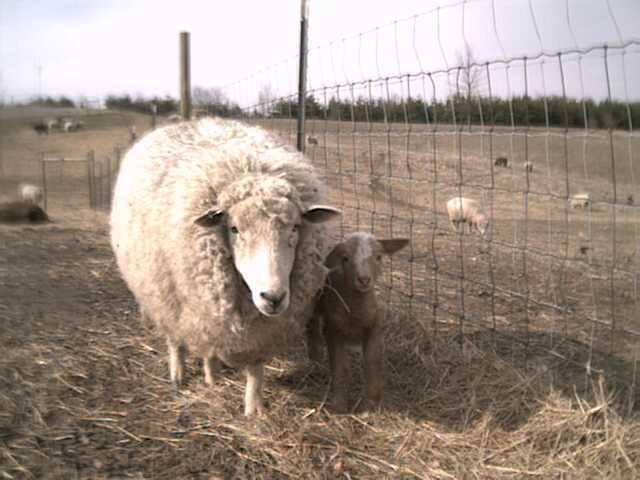 Elaine is fully recovered standing proudly with her mother Betty. 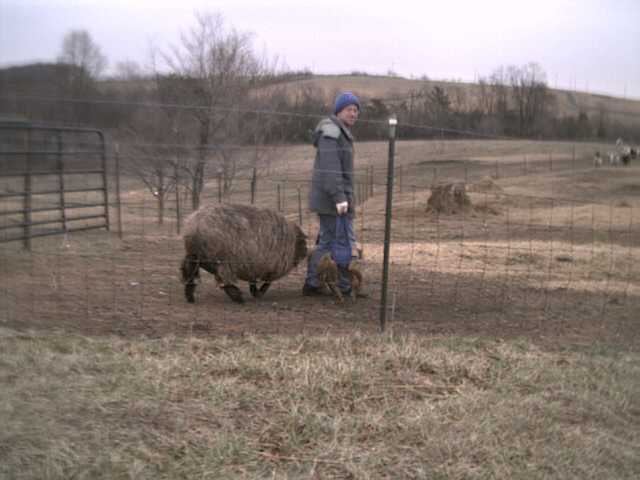 With a lamb loaded in a carrier in each hand, Tom leads Barbie into the barn after the births of her golden rams Evan and Ethan. 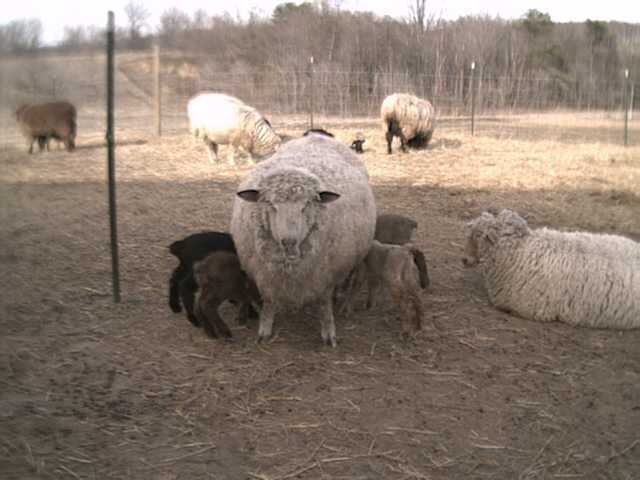 Alice has enough problems with feeding her golden triplets without an extra lamb looking for a free lunch. Audrey is pleased with her black lambs Edna and Errol sired by Drew. 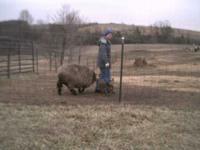 Clara has one huge ram lamb Eddie who is unusual with a tricolored fleece. 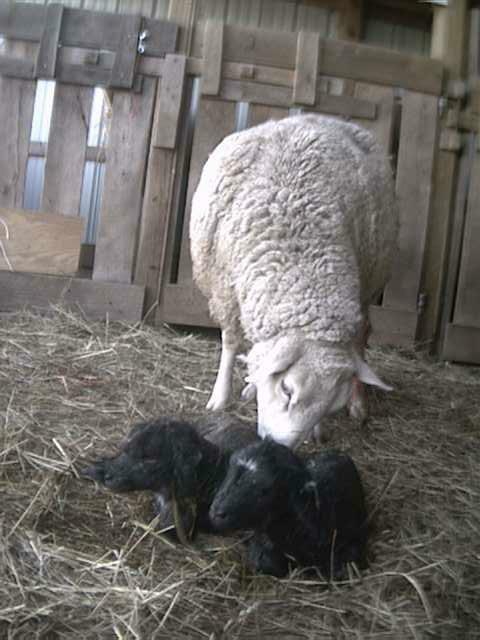 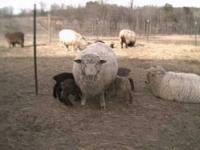 Annabelle cooperated to have her twin ram lambs in the barn. 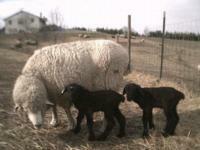 The lamb with the white on his head is English and his brother is Earl. 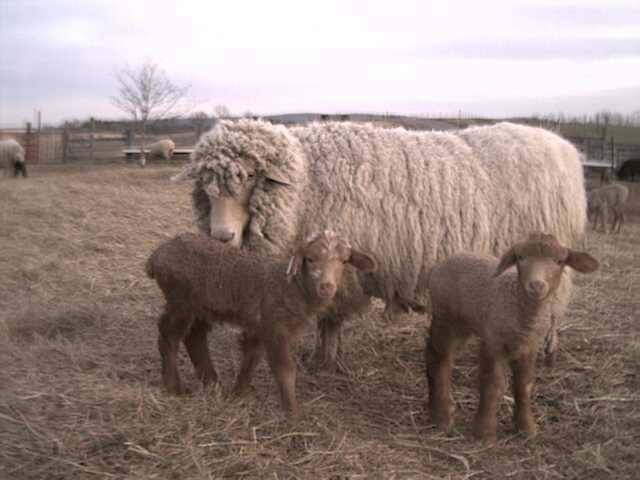 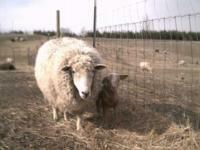 Alberta shows off her ewe lambs Endive and Endora. 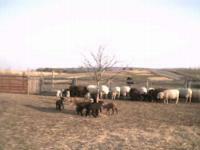 Evening means feeding time of grain for the adult ewes. 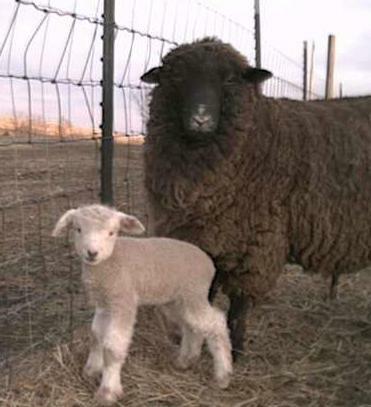 It is the best time for the lambs to play together. Ewes enjoy their grain while their lambs cavort.